On April 1, 1464 mayor of Cologne Johann Breyde was chopped into quarters … with ink. 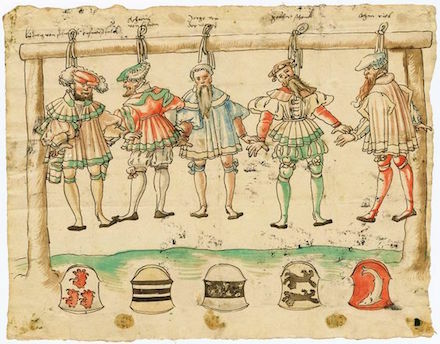 This startling image does not depict an actual flesh-and-blood execution. It is, instead, an outstanding (and conveniently for our purposes, dated) instance of an artifact from medieval Germany, the Schandbild. Such “defamatory pictures” often supplemented a Schmahbrief or “defamatory letter” — intended, as the names suggest, to impugn publicly the target over a debt, a broken promise, or some other private breach of faith. 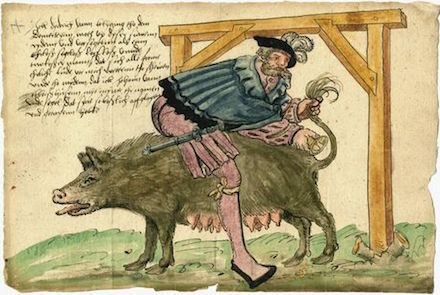 Something like 100 of these defamations survive from late medieval and early modern Germany (approximately 1400 to 1600), many of them fantasizing about their debtors’ executions in bloodthirsty scenes that also gesture to the place that ritual, spectacle, and dishonor held on the real-life gallows. Here are a few of the more piquant examples; many more await at a wonderful Pinterest gallery here. The purpose of defamatory letters and pictures was to bring low the reputation of their target in the eyes of a wider community — leveraging social pressure either for revenge, or to force the defamed to repair the breach. Matthias Lentz, one of the (regrettably few) historians working on these underappreciated objects, notes* that there are even surviving contracts from Germany, Bohemia and Poland enumerating an “explicit understand about injuring a person’s reputation and bringing dishonour upon a defaulting individual … a clause called Scheltklausel that laid down the practice of publicly scolding a defaulter.” For every Schandbild or Schmähbrief there must have been a dozen other potential swindlers quietly forced by the threat of public infamy to make good their contracts. 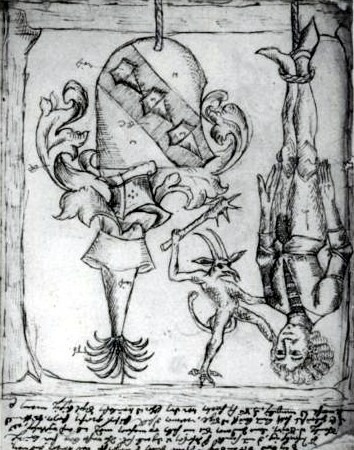 Per Lentz, the earliest known instance of an explicit contract dates to 1379, “wherein a ducal councillor accorded a nobleman, in eventuality of the former violating the terms of the contract, the right to denounce him as a fraud by ‘posting his name on the pillory [of the councillor’s home town], or wherever he likes'” — again, linking the “mere” text to the instruments of official corporal punishment. It is customary to judge thieves and traitors according to their offences, the first is sent to the gallows, the second broken on the wheel. 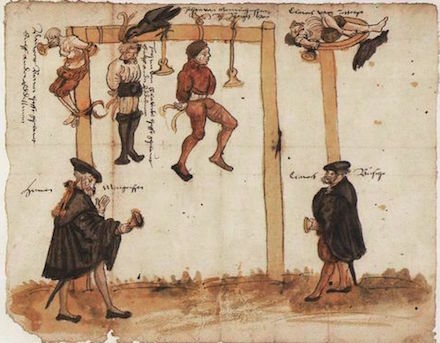 As I have not got power to carry out the above-mentioned acts, it is my intention to use the painter to have them painted hanging from the gallows and being tortured on the wheel. Still, Schandbilder und Schmähbriefe meant to intimidate not physically, but socially. 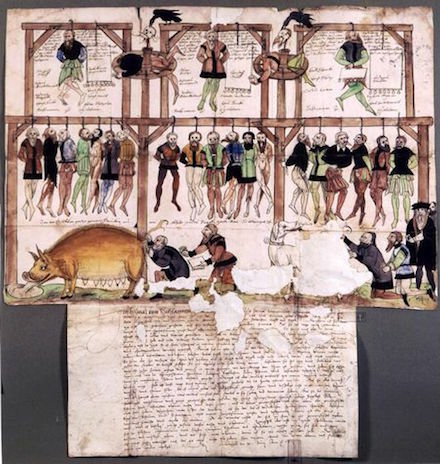 ** It was in this capacity that the iconography of the pillory and the scaffold entered the frame: ’twas an infamy to be exposed upon them for a public crime — serving as “an indictment of those who knew the criminal … [and] a punitive stigma over his or her relatives and friends.”† Posting a slur on the repute of a prominent person — for the targets were most always people of rank, who would feel an injury to their status — taxed this same, essential, civic currency. By consequence the execution imagery was strictly optional, one iconographic choice among many. From the too-few examples that survive to us it is plain that creditors delighted in their symbolic chastisement, issuing all the obloquies a grievance could devise, untethered from the confines of possible or the … sanitary. The Schandbild frequently evinced a scatological fixation. * Quotes form Lentz’s “Defamatory Pictures and Letters in Late Medieval Germany: The Visualisation of Disorder and Infamy” in The Medieval History Journal, vol. 3, no. 1 (2000). Lentz also has several German-language journal titles on the same topic. ** Not necessarily true of their Italian cousins, pitture infamanti. 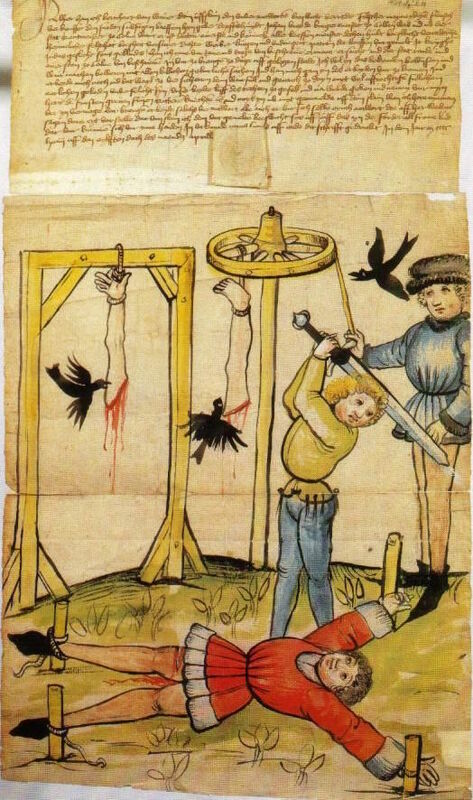 These were a similar sort of thing, but were issued not privately but by the city-states themselves against absconded offenders — a sort of quasi-execution by effigy. Many of these were painted for public spaces and removed with the passage of time so we have lost exemplars, including the products of masters — the Medici, for example, commissioned Botticelli to grace Florence with pitture infamanti of the Pazzi conspirators, which were whitewashed in 1494. A characteristic pose for these pictures, also used in Germany, had the “victim” hanging upside-down by one foot, conjoining “metaphors of inversion” (as Robert Mills puts it) to the disgrace of the gallows. 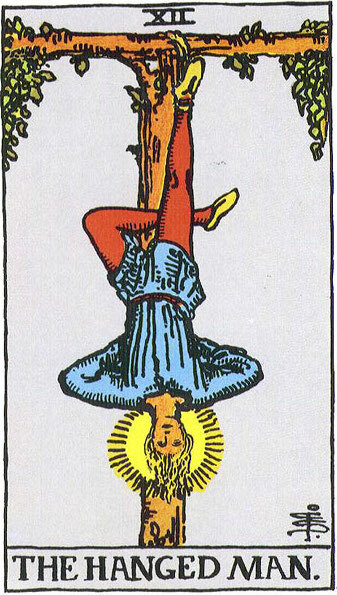 This posture is commonly thought to have inspired the “Hanged Man” tarot card. 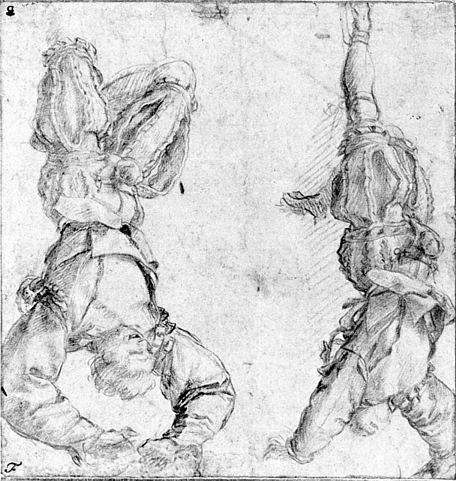 Left: a pittura infamante study by Florentine Renaissance artist Andrea del Sarto; right: the “hanged man” card from a tarot pack. June 27 — of 1948, implicitly — was the setting for Shirley Jackson‘s classic short story “The Lottery”. Before we dive into the grim stuff, here’s a hilariously campy pulp cover (mis)interpretation. Less an “execution” than a human sacrifice — the village old feller’s folksy “Lottery in June, corn be heavy soon,” evokes a primal flash of blood trickling off the maize-god’s altar — the titular event is an annual tradition for a tiny American town. Though unnamed, the town and some of its denizens were patterned on North Bennington, Vermont, where Jackson was living as the wife of a professor at Bennington College. The setting was entirely contemporary to the story’s publication, right down to the day: it hit print in the June 26, 1948 edition of The New Yorker magazine. And what took Jackson two hours to write has continued to disturb and perplex generations of readers. In “The Lottery” (available online here (pdf)), friendly townsfolk gather “in the square, between the post office and the bank” to enact a curious civic ritual dating to a time and purpose they no longer even remember. We see each household’s father draw a slip of paper from a battered old box and although we do not understand the reason we grasp from the dark atmosphere afoot in the crowd that something ominous is unfolding. “Go tell your father,” Mrs. Dunbar said to her older son. “Shut up, Tessie,” Bill Hutchinson said. Tessie has good cause to fear. A second drawing now ensues among the five members of the Hutchinson family — Tessie and Bill, plus their three children. And as soon as Tessie reveals the slip of paper with the black spot, her friends and even her family (“someone gave little Davy Hutchinson a few pebbles”) immediately turn on her and stone her to death. 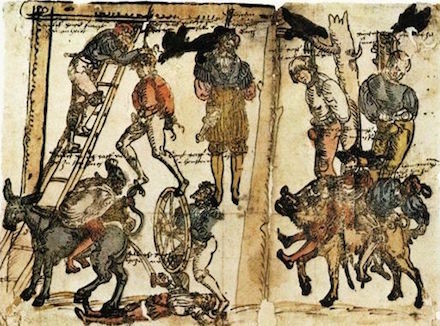 “I hoped, by setting a particularly brutal ancient rite in the present and in my own village to shock the story’s readers with a graphic dramatization of the pointless violence and general inhumanity in their own lives,” Jackson explained. The factual historicity of Esther is pretty questionable, but that debate is a bit beside the point for purposes of the present post. 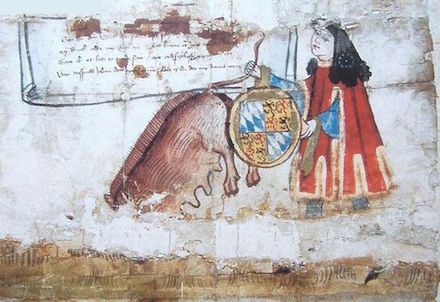 As folklore or fact, the story of Esther and Mordecai, of their near-destruction and the consequent execution of their persecutor, is a staple of tradition and literature. The thumbnail version of the Purim story has Esther (Hadassah), a Jew living in the Persian capital of Susa, plucked out of obscurity to become the (or a) queen of a “King Ahasverus”. If Esther has a historical basis, this would be about the fourth or fifth century B.C.E., and “Ahasverus” could be Xerxes (the guy who invaded Greece and made Herodotus famous), or the much later Artaxerxes II. Esther is an orphan being raised by her cousin Mordecai, and when Esther wins “Who Wants To Live In The Persian Harem?” Mordecai advises her to keep judiciously silent about her Hebrew lineage. 13 Adar is the date fixed for the Jews’ destruction, by pur, a casting of lots — hence the festival’s eventual date and name. Haman, of course, does not realize that this policy makes Esther his enemy. Esther pulls this dangerous maneuver off, and gains thereby a private audience with just the king and Haman. There, she springs her trap — revealing her Jewish identity. And Esther said, “A foe and enemy! This wicked Haman!” Then Haman was in terror before the king and the queen. 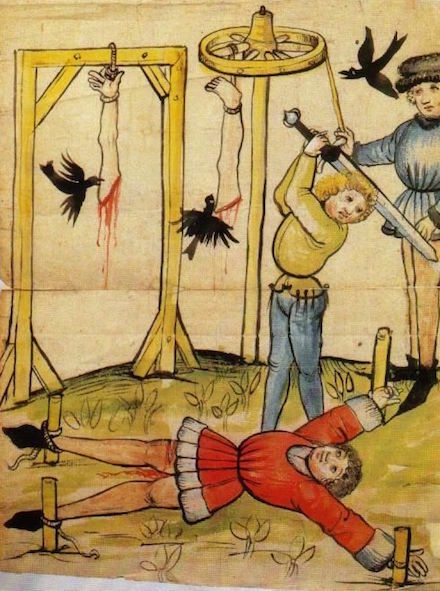 Word arrives at this inopportune juncture that Haman, who has been gleefully preparing his vengeance, has just had completed a 50-cubit (~20-meter) gallows to execute Mordecai upon. The enraged king instead orders Haman hung on it. “Hanging” Haman on the “gallows” was traditionally interpreted in the ancient and medieval world as crucifixion,* or some analogously excrutiating way to die. By any method of execution, though, the dramatic power of the scene — sudden reversal of fortune, virtue elevated over wickedness, the oppressed turning the tables on their oppressors, divine deliverance — is obvious. 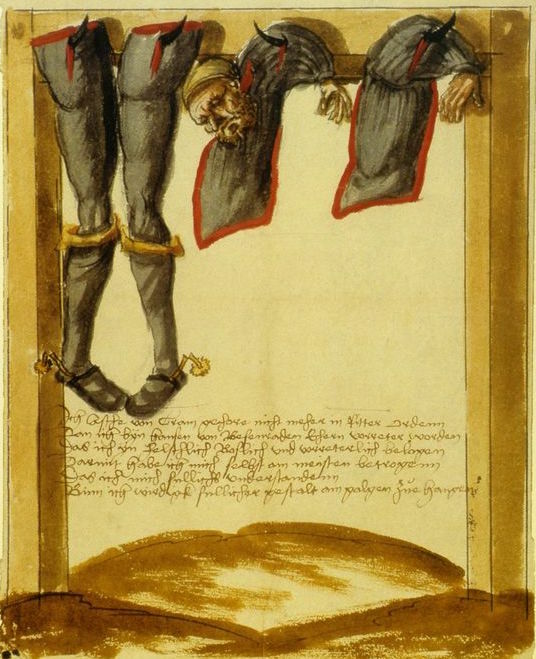 Haman and his gallows have consequently stood as a potent literary device ever since: for perfidious council; for violent anti-Semitism; for unusually spectacular punishment (to be hung “as high as Haman”); for the concept of getting one’s comeuppance or being hoisted by one’s own petard. At least the guy was remembered. Hands up if you can name any other ancient Persian courtier. 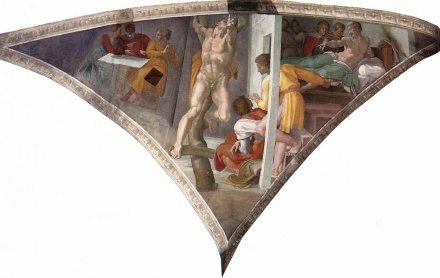 “The Punishment of Haman” is a corner of Michelangelo’s Sistine Chapel. However, this satisfying palace politics turnabout is not the end of the story, and punishment is not reserved only for the wicked minister. Esther persuades the king not only to revoke Haman’s order, but to issue a new one — one that Esther and Mordecai will write tabula rasa over the king’s seal. So the Jews smote all their enemies with the sword, slaughtering, and destroying them, and did as they pleased to those who hated them. In Susa the capital itself the Jews slew and destroyed five hundred men, and also slew Parshandatha and Dalphon and Aspatha and Poratha and Adalia and Aridatha and Parmashta and Arisai and Aridai and Vaizatha, the ten sons of Haman the son of Hammedatha, the enemy of the Jews; but they laid no hand on the plunder. That very day the number of those slain in Susa the capital was reported to the king. So the king commanded this to be done; a decree was issued in Susa, and the ten sons of Haman were hanged. The Jews who were in Susa gathered also on the fourteenth day of the month of Adar and they slew three hundred men in Susa; but they laid no hands on the plunder. Now the other Jews who were in the king’s provinces also gathered to defend their lives, and got relief from their enemies, and slew seventy-five thousand of those who hated them; but they laid no hands on the plunder. This bloodbath is obviously a bit more ethically problematic than Haman’s individual fate. Now, sure, this is an event of questionable authenticity situated in Iron Age tribal mores and exaggerated by the ubiquitous ancient inflation of head counts. The subtext (“defend their lives” … “relief from their enemies”) also implies something like civil strife, blows exchanged rather than merely blows delivered. The overt text says that the victims were people who intended to do exactly the same thing to the Jews. Still, the plain words on the page says 75,000 humans were slaughtered by a mobilized ethno-nationalist group, “children and women” among them. Just imagine the same parable about a Serb in a Bosnian king’s court, and say a little thanksgiving that the Book of Esther doesn’t identify these 75,000 as constituents of any specific demographic group that remains a going concern today. That part of the narrative has unsurprisingly invited highly prejudicial interpretations, especially among hostile Christian interlocutors (pdf). The fact that the story was told, and that it gained great popularity among the Jews, and by some of those in later ages came to be regarded as one of the most sacred books of their canon is, however, a revelation to us of the extent to which the most baleful and horrible passions may be cherished in the name of religion … it is not merely true that these atrocities are here recited; they are clearly indorsed. 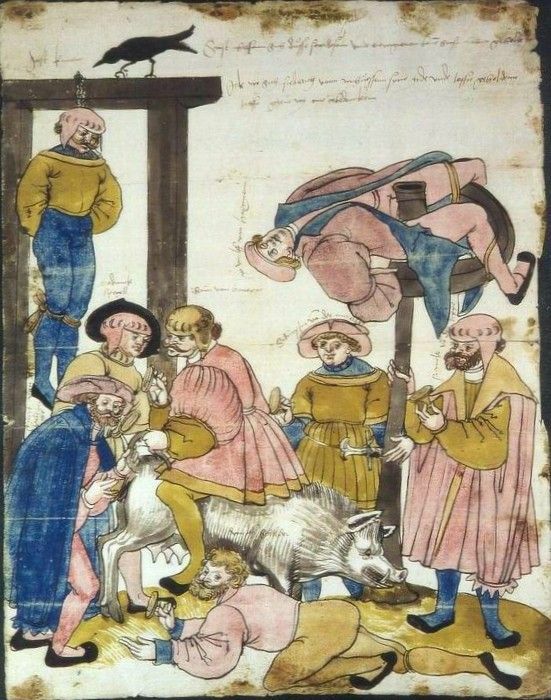 The Nazis promoted the Jews-as-mass-murderers version, too; there’s even an instance where the Zdunska Wola ghetto was required to provide ten Jews to hang for the ten hanged sons of Haman. The frothing anti-Semitic propagandist Julius Streicher, being positioned on the trap for execution after the Nuremberg trials, reportedly bellowed “Purim Fest 1946!” to the witnesses. * The concept of Haman crucified in turn encouraged Jews under Christendom to use the figure of Haman (who once upon a time, could be subject to Guy Fawkes-like effigy-burning on Purim) as a veiled stand-in for the current oppressor Christ, and/or encouraged Judeophobic Christians to impute this intention to Purim observances. The prolific English scribbler who conjured Fagin had keen empathy for the man or woman on the scaffold, leading him to contribute some of literature’s most poignant execution scenes. This from the serialized novel that hit print from 1837 to 1839 is no exception. Dickens does not stage Fagin’s actual hanging; the writer’s predilection is for the mind of the doomed as it reaches the precipice, and let the reader fill in the final details. And in Fagin’s case, that mind belongs to a complex character for whom the reader likely has some empathy: despite Fagin’s villainy, he’s also the orphan Oliver’s surrogate father-figure and said urchin’s ticket out of the anonymous desperation of the urban poor. 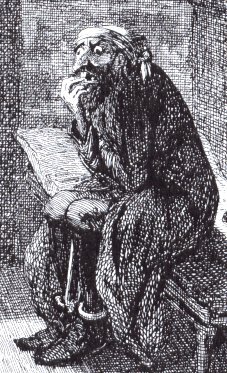 This doomed wretch in his final hours is sketched in Oliver Twist‘s second-last chapter, “Fagin’s Last Night Alive”. (Text via Project Gutenberg.) 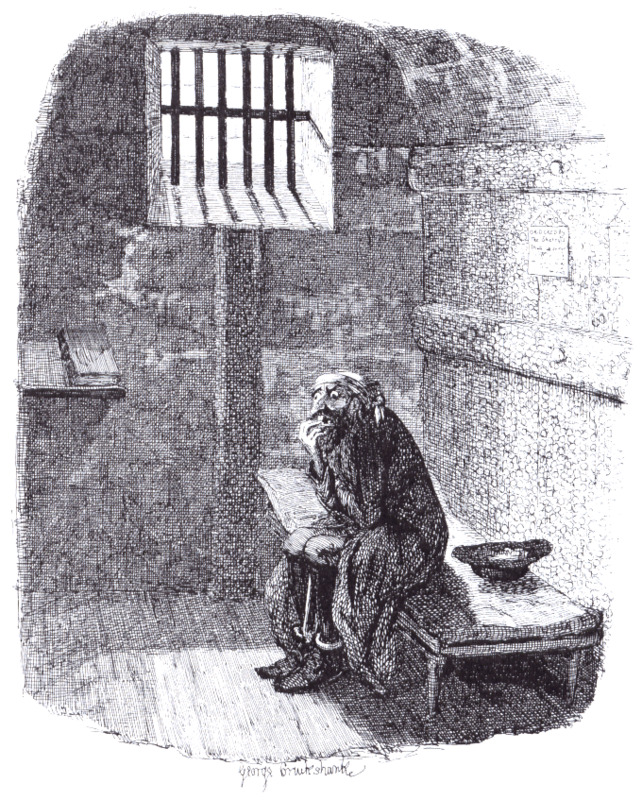 It surely draws on Dickens’ 1835 visit to Newgate’s condemned cells. The court was paved, from floor to roof, with human faces. Inquisitive and eager eyes peered from every inch of space. From the rail before the dock, away into the sharpest angle of the smallest corner in the galleries, all looks were fixed upon one man—Fagin. Before him and behind: above, below, on the right and on the left: he seemed to stand surrounded by a firmament, all bright with gleaming eyes. A slight bustle in the court, recalled him to himself. Looking round, he saw that the juryman had turned together, to consider their verdict. As his eyes wandered to the gallery, he could see the people rising above each other to see his face: some hastily applying their glasses to their eyes: and others whispering their neighbours with looks expressive of abhorrence. A few there were, who seemed unmindful of him, and looked only to the jury, in impatient wonder how they could delay. But in no one face—not even among the women, of whom there were many there—could he read the faintest sympathy with himself, or any feeling but one of all-absorbing interest that he should be condemned. Not that, all this time, his mind was, for an instant, free from one oppressive overwhelming sense of the grave that opened at his feet; it was ever present to him, but in a vague and general way, and he could not fix his thoughts upon it. Thus, even while he trembled, and turned burning hot at the idea of speedy death, he fell to counting the iron spikes before him, and wondering how the head of one had been broken off, and whether they would mend it, or leave it as it was. Then, he thought of all the horrors of the gallows and the scaffold—and stopped to watch a man sprinkling the floor to cool it—and then went on to think again. At length there was a cry of silence, and a breathless look from all towards the door. The jury returned, and passed him close. He could glean nothing from their faces; they might as well have been of stone. Perfect stillness ensued—not a rustle—not a breath—Guilty. The noise subsided, and he was asked if he had anything to say why sentence of death should not be passed upon him. He had resumed his listening attitude, and looked intently at his questioner while the demand was made; but it was twice repeated before he seemed to hear it, and then he only muttered that he was an old man—an old man—and so, dropping into a whisper, was silent again. They led him through a paved room under the court, where some prisoners were waiting till their turns came, and others were talking to their friends, who crowded round a grate which looked into the open yard. There was nobody there to speak to him; but, as he passed, the prisoners fell back to render him more visible to the people who were clinging to the bars: and they assailed him with opprobrious names, and screeched and hissed. He shook his fist, and would have spat upon them; but his conductors hurried him on, through a gloomy passage lighted by a few dim lamps, into the interior of the prison. Here, he was searched, that he might not have about him the means of anticipating the law; this ceremony performed, they led him to one of the condemned cells, and left him there—alone. He sat down on a stone bench opposite the door, which served for seat and bedstead; and casting his blood-shot eyes upon the ground, tried to collect his thoughts. After awhile, he began to remember a few disjointed fragments of what the judge had said: though it had seemed to him, at the time, that he could not hear a word. These gradually fell into their proper places, and by degrees suggested more: so that in a little time he had the whole, almost as it was delivered. To be hanged by the neck, till he was dead—that was the end. To be hanged by the neck till he was dead. As it came on very dark, he began to think of all the men he had known who had died upon the scaffold; some of them through his means. They rose up, in such quick succession, that he could hardly count them. He had seen some of them die,—and had joked too, because they died with prayers upon their lips. With what a rattling noise the drop went down; and how suddenly they changed, from strong and vigorous men to dangling heaps of clothes! Some of them might have inhabited that very cell—sat upon that very spot. It was very dark; why didn’t they bring a light? The cell had been built for many years. Scores of men must have passed their last hours there. It was like sitting in a vault strewn with dead bodies—the cap, the noose, the pinioned arms, the faces that he knew, even beneath that hideous veil.—Light, light! Then came the night—dark, dismal, silent night. Other watchers are glad to hear this church-clock strike, for they tell of life and coming day. To him they brought despair. The boom of every iron bell came laden with the one, deep, hollow sound—Death. What availed the noise and bustle of cheerful morning, which penetrated even there, to him? It was another form of knell, with mockery added to the warning. The day passed off. Day? 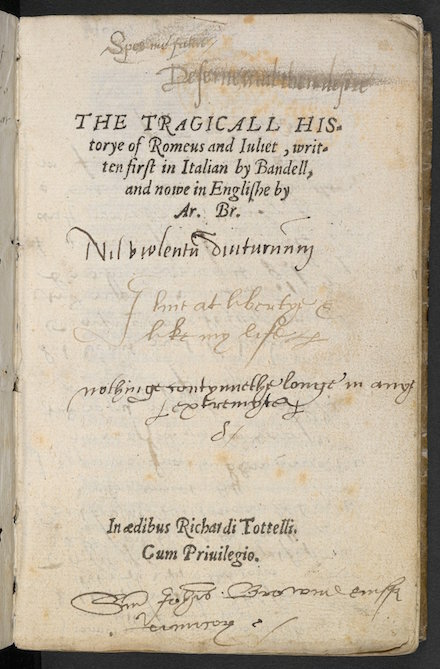 There was no day; it was gone as soon as come—and night came on again; night so long, and yet so short; long in its dreadful silence, and short in its fleeting hours. At one time he raved and blasphemed; and at another howled and tore his hair. Venerable men of his own persuasion had come to pray beside him, but he had driven them away with curses. They renewed their charitable efforts, and he beat them off. Saturday night. He had only one night more to live. And as he thought of this, the day broke—Sunday. It was not until the night of this last awful day, that a withering sense of his helpless, desperate state came in its full intensity upon his blighted soul; not that he had ever held any defined or positive hope of mercy, but that he had never been able to consider more than the dim probability of dying so soon. He had spoken little to either of the two men, who relieved each other in their attendance upon him; and they, for their parts, made no effort to rouse his attention. He had sat there, awake, but dreaming. Now, he started up, every minute, and with gasping mouth and burning skin, hurried to and fro, in such a paroxysm of fear and wrath that even they—used to such sights—recoiled from him with horror. He grew so terrible, at last, in all the tortures of his evil conscience, that one man could not bear to sit there, eyeing him alone; and so the two kept watch together. He led them into a stone kitchen, fitted with coppers for dressing the prison food, and pointed to a door. There was an open grating above it, through which came the sound of men’s voices, mingled with the noise of hammering, and the throwing down of boards. There were putting up the scaffold. ‘I am not afraid,’ said Oliver in a low voice, as he relinquished Mr. Brownlow’s hand. ‘Oh! God forgive this wretched man!’ cried the boy with a burst of tears. ‘Have you nothing else to ask him, sir?’ inquired the turnkey. Day was dawning when they again emerged. A great multitude had already assembled; the windows were filled with people, smoking and playing cards to beguile the time; the crowd were pushing, quarrelling, joking. Everything told of life and animation, but one dark cluster of objects in the centre of all — the black stage, the cross-beam, the rope, and all the hideous apparatus of death. * Fagin was named for a workman named Bob Fagin, who showed a few tricks of the trade when the boy Dickens did his own turn in a workhouse. ** For instance, the the London Burkers in 1831 and Benjamin Courvoisier in 1840 were each condemned to death less than two months after their arrests, and each hanged within days of sentence. On this date* in French-occupied Moscow of the War of 1812, many alleged arsonists — unnamed and unnumbered — were shot by Napoleon’s army in the ashes of Moscow. Although real, flesh-and-blood Muscovites died, they are best known via their bespectacled fictional companion, Pierre Bezukhov, whose miraculous escape is one of the pivotal episodes of Tolstoy’s War and Peace. Merely the greatest novel in history by some reckonings — we’ll just let Tolstoy fight it out with Dostoyevsky for top of table in the competitive 19th Century Russia literary scene — the epic War and Peace tracks that country’s transformation under the revolutionary pressures of the Napoleonic age. 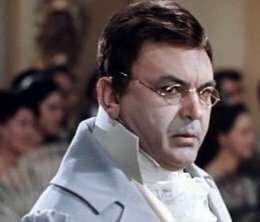 In Russian director Sergey Bondarchuk’s sprawling cinematic adaptation of War and Peace, the part of Pierre Bezukhov is played by Bondarchuk himself. 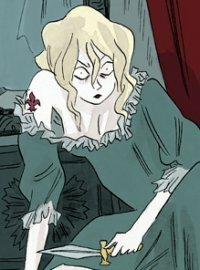 Pierre Bezukhov (“without ears”) is one of the book’s central figures, the illegitimate son of a count who unexpectedly inherits, forever consumed with his next impulsive, passionate quest for meaning (boozing around, freemasonry, religion …). 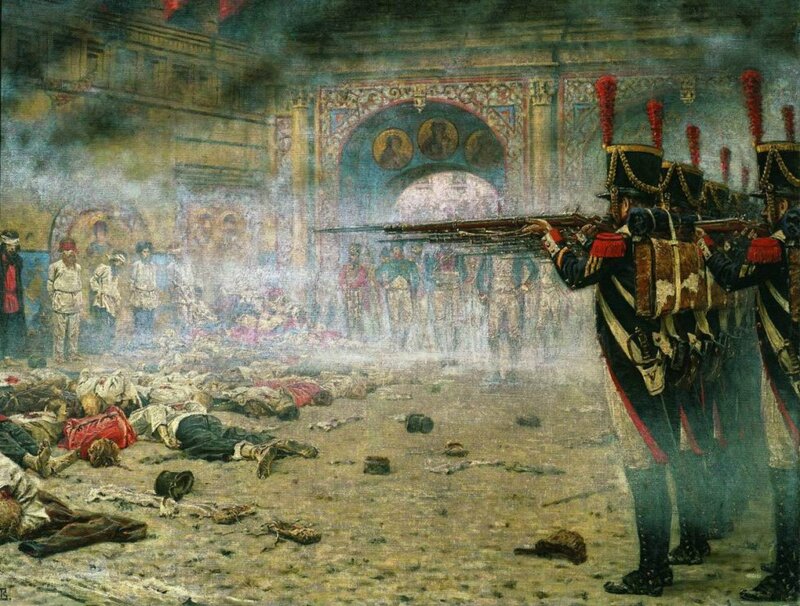 Pierre finds himself present in Moscow when the Grande Armee rolls in following its Pyrrhic victory at the Battle of Borodino. His fancy of the moment is to assassinate Napoleon: “he suddenly felt that what before had seemed to him merely a possibility had now become absolutely necessary and inevitable. He must remain in Moscow, concealing his name, and must meet Napoleon and kill him, and either perish or put an end to the misery of all Europe.” And to think, a younger Pierre actually used to admire Napoleon. Historically, the city of Moscow started burning as soon as the French occupied it. The reasons for this conflagration have been widely disputed; Tolstoy detours in War and Peace to characterize it as nothing more than the natural consequence of the occupation, when the city’s civil infrastructure has broken down and the everyday fires that spark in wooden buildings are more liable to grow out of control. 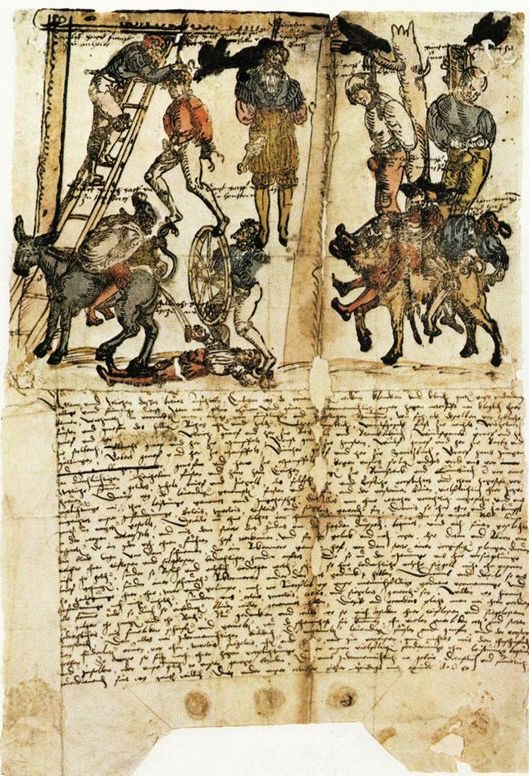 A bulletin of the Grande Armee dated September 20 (Gregorian date; this corresponds to the Julian date September 8) reports on the successful efforts to bring arsonists to heel through the expedient of mass executions. Manufactures were beginning to flourish at Moscow: they are destroyed. The conflagration of this capital will throw Russia one hundred years back. The weather is becoming rainy: the greatest part of the army is in barracks in Moscow. In this paranoid occupation, the fictional Pierre, wandering Moscow armed without a good excuse, gets himself picked up by French troops. The travail of his resulting drumhead trial offers the anti-authoritarian (and anti-death penalty) Tolstoy the opportunity to reflect on the “legal” arrangements, a passage Tolstoy dates September 8 on the Julian calendar — the same day that army bulletin above was penned. [Pierre] learned that all these prisoners (he, probably, among them) were to be tried for incendiarism. On the third day he was taken with the others to a house where a French general with a white mustache sat with two colonels and other Frenchmen with scarves on their arms. With the precision and definiteness customary in addressing prisoners, and which is supposed to preclude human frailty, Pierre like the others was questioned as to who he was, where he had been, with what object, and so on. These questions, like questions put at trials generally, left the essence of the matter aside, shut out the possibility of that essence’s being revealed, and were designed only to form a channel through which the judges wished the answers of the accused to flow so as to lead to the desired result, namely a conviction. As soon as Pierre began to say anything that did not fit in with that aim, the channel was removed and the water could flow to waste. Pierre felt, moreover, what the accused always feel at their trial, perplexity as to why these questions were put to him. He had a feeling that it was only out of condescension or a kind of civility that this device of placing a channel was employed. He knew he was in these men’s power, that only by force had they brought him there, that force alone gave them the right to demand answers to their questions, and that the sole object of that assembly was to inculpate him. And so, as they had the power and wish to inculpate him, this expedient of an inquiry and trial seemed unnecessary. It was evident that any answer would lead to conviction. It’s only by Pierre’s chance ability to forge a human connection with the officer detailed to condemn him that he’s mysteriously, and arbitrarily, not sentenced to death — a fact that Pierre doesn’t even realize until he’s led out with the rest of the prisoners only to see that it’s “only” the others who are being shot. This is the narration at length from Book XII, Chapters 10-11. On the eighth of September an officer- a very important one judging by the respect the guards showed him- entered the coach house where the prisoners were. This officer, probably someone on the staff, was holding a paper in his hand, and called over all the Russians there, naming Pierre as “the man who does not give his name.” Glancing indolently and indifferently at all the prisoners, he ordered the officer in charge to have them decently dressed and tidied up before taking them to the marshal. An hour later a squad of soldiers arrived and Pierre with thirteen others was led to the Virgin’s Field. It was a fine day, sunny after rain, and the air was unusually pure. The smoke did not hang low as on the day when Pierre had been taken from the guardhouse on the Zubovski rampart, but rose through the pure air in columns. No flames were seen, but columns of smoke rose on all sides, and all Moscow as far as Pierre could see was one vast charred ruin. On all sides there were waste spaces with only stoves and chimney stacks still standing, and here and there the blackened walls of some brick houses. Pierre gazed at the ruins and did not recognize districts he had known well. Here and there he could see churches that had not been burned. The Kremlin, which was not destroyed, gleamed white in the distance with its towers and the belfry of Ivan the Great. The domes of the New Convent of the Virgin glittered brightly and its bells were ringing particularly clearly. These bells reminded Pierre that it was Sunday and the feast of the Nativity of the Virgin. But there seemed to be no one to celebrate this holiday: everywhere were blackened ruins, and the few Russians to be seen were tattered and frightened people who tried to hide when they saw the French. Pierre had been taken by one set of soldiers and led first to one and then to another place with dozens of other men, and it seemed that they might have forgotten him, or confused him with the others. But no: the answers he had given when questioned had come back to him in his designation as “the man who does not give his name,” and under that appellation, which to Pierre seemed terrible, they were now leading him somewhere with unhesitating assurance on their faces that he and all the other prisoners were exactly the ones they wanted and that they were being taken to the proper place. Pierre felt himself to be an insignificant chip fallen among the wheels of a machine whose action he did not understand but which was working well. He and the other prisoners were taken to the right side of the Virgin’s Field, to a large white house with an immense garden not far from the convent. 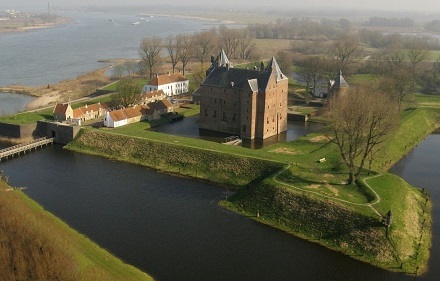 This was Prince Shcherbatov‘s house, where Pierre had often been in other days, and which, as he learned from the talk of the soldiers, was now occupied by the marshal, the Duke of Eckmuhl (Davout). “I know that man,” he said in a cold, measured tone, evidently calculated to frighten Pierre. The chill that had been running down Pierre’s back now seized his head as in a vise. “He is a Russian spy,” Davout interrupted, addressing another general who was present, but whom Pierre had not noticed. “Monseigneur!” exclaimed Pierre, not in an offended but in a pleading voice. “How can you show me that you are telling the truth?” said Davout coldly. “You are not what you say,” returned Davout. When the adjutant reminded him of the prisoner, he jerked his head in Pierre’s direction with a frown and ordered him to be led away. But where they were to take him Pierre did not know: back to the coach house or to the place of execution his companions had pointed out to him as they crossed the Virgin’s Field. “Yes, of course!” replied Davout, but what this “yes” meant, Pierre did not know. Pierre could not afterwards remember how he went, whether it was far, or in which direction. His faculties were quite numbed, he was stupefied, and noticing nothing around him went on moving his legs as the others did till they all stopped and he stopped too. The only thought in his mind at that time was: who was it that had really sentenced him to death? Not the men on the commission that had first examined him — not one of them wished to or, evidently, could have done it. It was not Davout, who had looked at him in so human a way. In another moment Davout would have realized that he was doing wrong, but just then the adjutant had come in and interrupted him. The adjutant, also, had evidently had no evil intent though he might have refrained from coming in. Then who was executing him, killing him, depriving him of life — him, Pierre, with all his memories, aspirations, hopes, and thoughts? Who was doing this? And Pierre felt that it was no one. It was a system — a concurrence of circumstances. A system of some sort was killing him — Pierre — depriving him of life, of everything, annihilating him. From Prince Shcherbatov’s house the prisoners were led straight down the Virgin’s Field, to the left of the nunnery, as far as a kitchen garden in which a post had been set up. Beyond that post a fresh pit had been dug in the ground, and near the post and the pit a large crowd stood in a semicircle. The crowd consisted of a few Russians and many of Napoleon’s soldiers who were not on duty- Germans, Italians, and Frenchmen, in a variety of uniforms. To the right and left of the post stood rows of French troops in blue uniforms with red epaulets and high boots and shakos. The prisoners were placed in a certain order, according to the list (Pierre was sixth), and were led to the post. Several drums suddenly began to beat on both sides of them, and at that sound Pierre felt as if part of his soul had been torn away. He lost the power of thinking or understanding. He could only hear and see. And he had only one wish- that the frightful thing that had to happen should happen quickly. Pierre looked round at his fellow prisoners and scrutinized them. The two first were convicts with shaven heads. One was tall and thin, the other dark, shaggy, and sinewy, with a flat nose. The third was a domestic serf, about forty-five years old, with grizzled hair and a plump, well-nourished body. The fourth was a peasant, a very handsome man with a broad, light-brown beard and black eyes. The fifth was a factory hand, a thin, sallow-faced lad of eighteen in a loose coat. Pierre heard the French consulting whether to shoot them separately or two at a time. “In couples,” replied the officer in command in a calm voice. There was a stir in the ranks of the soldiers and it was evident that they were all hurrying — not as men hurry to do something they understand, but as people hurry to finish a necessary but unpleasant and incomprehensible task. A French official wearing a scarf came up to the right of the row of prisoners and read out the sentence in Russian and in French. Then two pairs of Frenchmen approached the criminals and at the officer’s command took the two convicts who stood first in the row. 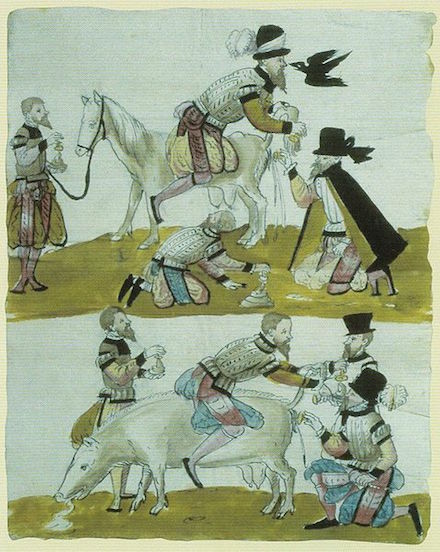 The convicts stopped when they reached the post and, while sacks were being brought, looked dumbly around as a wounded beast looks at an approaching huntsman. One crossed himself continually, the other scratched his back and made a movement of the lips resembling a smile. With hurried hands the soldiers blindfolded them, drawing the sacks over their heads, and bound them to the post. Twelve sharpshooters with muskets stepped out of the ranks with a firm regular tread and halted eight paces from the post. Pierre turned away to avoid seeing what was going to happen. Suddenly a crackling, rolling noise was heard which seemed to him louder than the most terrific thunder, and he looked round. There was some smoke, and the Frenchmen were doing something near the pit, with pale faces and trembling hands. Two more prisoners were led up. In the same way and with similar looks, these two glanced vainly at the onlookers with only a silent appeal for protection in their eyes, evidently unable to understand or believe what was going to happen to them. They could not believe it because they alone knew what their life meant to them, and so they neither understood nor believed that it could be taken from them. Again Pierre did not wish to look and again turned away; but again the sound as of a frightful explosion struck his ear, and at the same moment he saw smoke, blood, and the pale, scared faces of the Frenchmen who were again doing something by the post, their trembling hands impeding one another. Pierre, breathing heavily, looked around as if asking what it meant. The same question was expressed in all the looks that met his. On the faces of all the Russians and of the French soldiers and officers without exception, he read the same dismay, horror, and conflict that were in his own heart. “But who, after all, is doing this? They are all suffering as I am. Who then is it? Who?” flashed for an instant through his mind. “Sharpshooters of the 86th, forward!” shouted someone. The fifth prisoner, the one next to Pierre, was led away- alone. Pierre did not understand that he was saved, that he and the rest had been brought there only to witness the execution. With ever-growing horror, and no sense of joy or relief, he gazed at what was taking place. The fifth man was the factory lad in the loose cloak. The moment they laid hands on him he sprang aside in terror and clutched at Pierre. (Pierre shuddered and shook himself free.) The lad was unable to walk. They dragged him along, holding him up under the arms, and he screamed. When they got him to the post he grew quiet, as if he suddenly understood something. Whether he understood that screaming was useless or whether he thought it incredible that men should kill him, at any rate he took his stand at the post, waiting to be blindfolded like the others, and like a wounded animal looked around him with glittering eyes. Pierre was no longer able to turn away and close his eyes. His curiosity and agitation, like that of the whole crowd, reached the highest pitch at this fifth murder. Like the others this fifth man seemed calm; he wrapped his loose cloak closer and rubbed one bare foot with the other. When they began to blindfold him he himself adjusted the knot which hurt the back of his head; then when they propped him against the bloodstained post, he leaned back and, not being comfortable in that position, straightened himself, adjusted his feet, and leaned back again more comfortably. Pierre did not take his eyes from him and did not miss his slightest movement. Probably a word of command was given and was followed by the reports of eight muskets; but try as he would Pierre could not afterwards remember having heard the slightest sound of the shots. He only saw how the workman suddenly sank down on the cords that held him, how blood showed itself in two places, how the ropes slackened under the weight of the hanging body, and how the workman sat down, his head hanging unnaturally and one leg bent under him. Pierre ran up to the post. No one hindered him. Pale, frightened people were doing something around the workman. The lower jaw of an old Frenchman with a thick mustache trembled as he untied the ropes. The body collapsed. The soldiers dragged it awkwardly from the post and began pushing it into the pit. They all plainly and certainly knew that they were criminals who must hide the traces of their guilt as quickly as possible. Pierre glanced into the pit and saw that the factory lad was lying with his knees close up to his head and one shoulder higher than the other. That shoulder rose and fell rhythmically and convulsively, but spadefuls of earth were already being thrown over the whole body. One of the soldiers, evidently suffering, shouted gruffly and angrily at Pierre to go back. But Pierre did not understand him and remained near the post, and no one drove him away. When the pit had been filled up a command was given. Pierre was taken back to his place, and the rows of troops on both sides of the post made a half turn and went past it at a measured pace. The twenty-four sharpshooters with discharged muskets, standing in the center of the circle, ran back to their places as the companies passed by. Pierre gazed now with dazed eyes at these sharpshooters who ran in couples out of the circle. All but one rejoined their companies. This one, a young soldier, his face deadly pale, his shako pushed back, and his musket resting on the ground, still stood near the pit at the spot from which he had fired. He swayed like a drunken man, taking some steps forward and back to save himself from falling. An old, noncommissioned officer ran out of the ranks and taking him by the elbow dragged him to his company. The crowd of Russians and Frenchmen began to disperse. They all went away silently and with drooping heads. “That will teach them to start fires,” said one of the Frenchmen. Pierre glanced round at the speaker and saw that it was a soldier who was trying to find some relief after what had been done, but was not able to do so. Without finishing what he had begun to say he made a hopeless movement with his arm and went away. * It’s our practice (although we’re sure it’s been violated here and there) to utilize Gregorian dates universally after the mid-18th century, even for executions in Orthodox Christendom where the Julian calendar prevailed into the 20th century. For this post, seeing as it’s straight from the text of Tolstoy himself, in his magnum opus, channeling the soul of the Russian rodina, we’re making an exception: the 12-day-slower, local-to-Russia Julian calendar prevails … just like the Russians themselves did.